As living a “green lifestyle” has been on the top of the public’s mind, the tech industry has tried to create gadgets to appeal to the growing audience. Sprint has taken an active stance to promote the eco-friendly technology campaign. It’s rare to see corporations taking or at least trying to take responsibility to protect the environment. 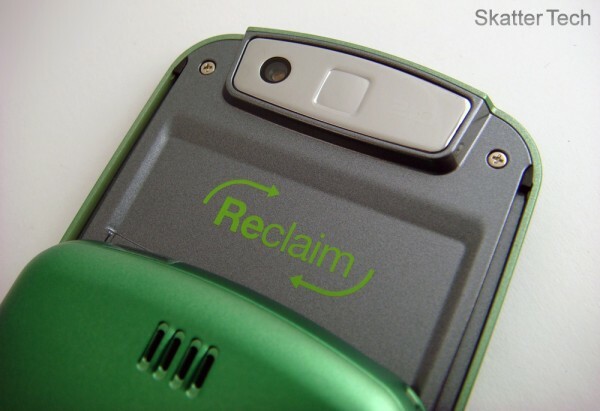 The Samsung Reclaim is one of those devices. Although it may not have all the bells and whistles a smartphone may have, it’s worth taking a look at since it’s made almost entirely from recycled materials and leaves a lighter footprint on our environment. 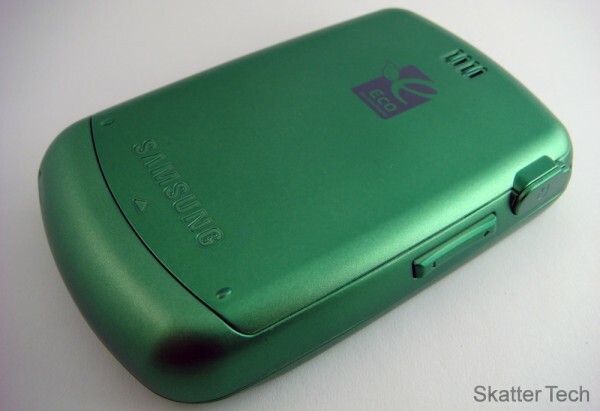 Keeping with the environmental theme, the Samsung Reclaim is available to customers in two colors: “Ocean Blue” and “Earth Green”. Although the colors are quite bright and standout, it has a nice glossy feel and texture. Plus, it stands out and is a nice change from the standard black and silver trimmed phones that most phones have today. The Reclaim has a slide-out QWERTY keyboard, which is great for texting. Although they keys were somewhat narrow and cramped, it should be fine after some getting used to. There are dedicated left/right soft keys and send/end buttons. A speakerphone key, okay, and back key are also included. The large size and color almost reminded me of Fisher Price toys, but they are solid and comfortable. There’s also a volume rocker and a camera shutter key on the side. I was also truly surprised to see a standard 3.5mm headphone jack, which even some smartphones launched earlier this year didn’t offer. There’s also a standard microSD card expansion and an micro USB port concealed under a plastic cover. 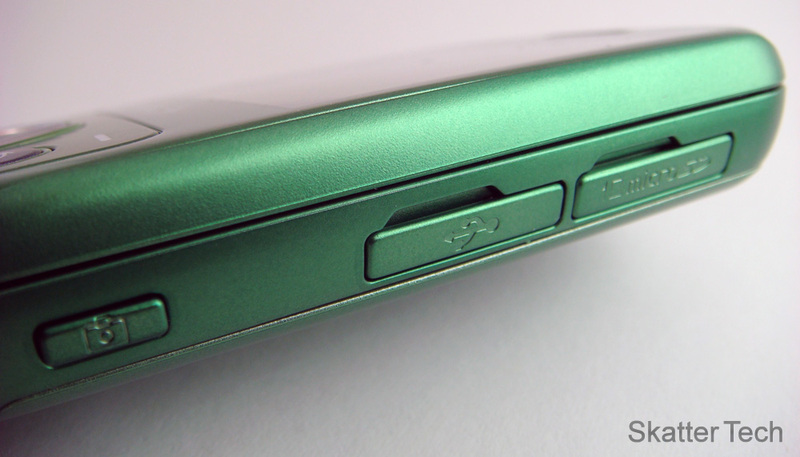 Other than that, sliding out the keyboard reveals a 2 megapixel camera on the back. The device is fairly compact to fit into just about any pocket. The Samsung Reclaim sports a 2.6-inch QVGA 320×240 pixel display. Although the colors and graphics aren’t stunning, it’s appropriate for a phone in this price range. The phone uses Sprint’s fairly new “One Click” user interface. Everything is controlled by the directional pad and text entry with the slide-out QWERTY keyboard. The UI is well polished, fairly responsive, and even has an “eco-friendly theme” incorporated. It’s fast to navigate, easy to use, and you’ll find the usual array of address book, calendar, world/alarm clock, calculator, memo, and stopwatch programs. Furthermore, there is even a chat client (AIM, Live, Yahoo), Facebook, MySpace, and a Mobile Email client. Although the Web Browser isn’t anything to get excited about, staying informed and even updating Twitter statuses is painless. I didn’t expect too much out of the Reclaim’s camera when I picked it up. The quality is mediocre, images lacked color and were a bit blurred even with a steady hand. I did like the dedicated capture key on the side, which was convenient. The max capture resolution is 1600 x 1200 pixels. Fortunately, the user interface was quite impressive. It has plenty of options including self-timers, brightness setting, custom tones, night shot, and a few other fun features. 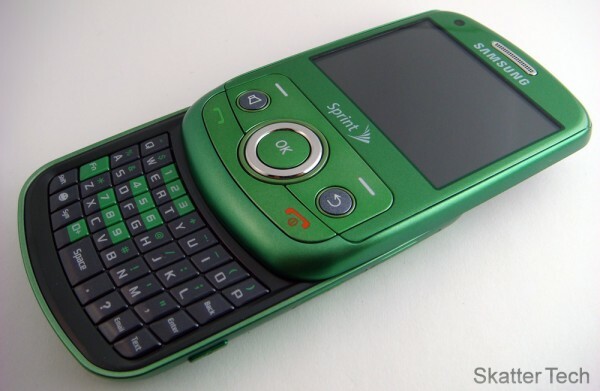 The phone surprisingly also offered the ability to share images by uploading Facebook or Flickr as well as MMS. The Reclaim can also capture videos, however quality isn’t any better than taking photos. A newer iteration could use a few improvements. The multimedia features were quite impressive for a phone in this price range. With a standard headphone jack and microSD expansion, this can easily be turned into a fairly decent MP3 player. Although the included card was unfortunately only 512MB, picking up a 8GB microSD is just $20. The phone supports playback of most major formats (MP3, AAC, & WMA) including support for Amazon MP3 and iTunes Plus Tracks. Transferring media over is quite simple with a micro USB cable, which I wish Sprint had included with the packaging. The Samsung Reclaim also has access to Sprint’s Music Store. It’s also compatible with Stereo Bluetooth Headsets such as the Jabra Halo. The most important feature of any phone is making calls. The Samsung Reclaim fell a bit short compared to other devices with slightly worse signal strength. Despite that it didn’t lack on quality for the most part. The person on the other end could hear me just fine. The speaker phone was a bit choppy at times. The phone battery can last through about 6 hours worth of calls with a full charge. When not in use, it should last at least 2-3 days on standby. Plus, with a full QWERTY keyboard messaging others is quite a snap. It was quick to send text messages and even using the instant messaging features. If I wasn’t told this was a recycled phone, I wouldn’t have known. The build quality is pretty impressive and it’s actually better than many other phones in this price range. If there’s a way to get people to “Go Green,” this is one of those. While most eco-friendly devices are over priced or lack on features, the Samsung Reclaim doesn’t linger on either. Sprint has taken the initiative to cut down on technology wastes in the next several ears. Along with Samsung, they managed to manufacture a device from bio-plastic, making the phone 80% recyclable. Even the packaging is entirely recycled materials and the printed ink is from soy-based materials. Although cell phone chargers don’t consume much power, Samsung even emphasized on the Energy Star approved AC Adapter. The phone is also pre-loaded with a number of links to Guides to living a healthy eco-friendly lifestyle. Sprint also donates a few dollars of the proceeds made with each sale to programs that help benefit the environment. While most people are caught up in the smartphone trend, devices and initiatives such as these are often overlooked. 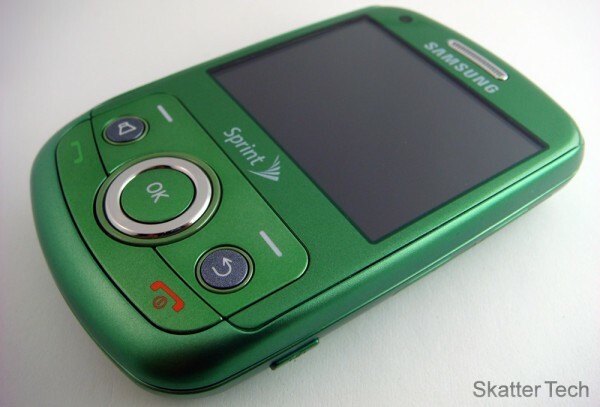 Non-smartphones such as this Samsung Reclaim still account for the vast majority of mobile phone market share. The price is probably the best part. It’s available for just $49 with a new two-year contract. It’s probably even free if you are eligible for an upgrade. This phone has just about all the features an expensive top of the line device had just a year or two ago. I wouldn’t recommend this phone for Business or tech savvy customers, however it’s beyond excellent for students, those on a budget, or those looking for an environmentally friendly device. The Reclaim doesn’t sacrifice any important features. I would definitely love to see Sprint push this initiative further and apply it to even the smartphones that are becoming increasingly popular. If you are looking for a new device to make calls, text, and even to listen to music, definitely take a look at Sprint’s Samsung Reclaim.